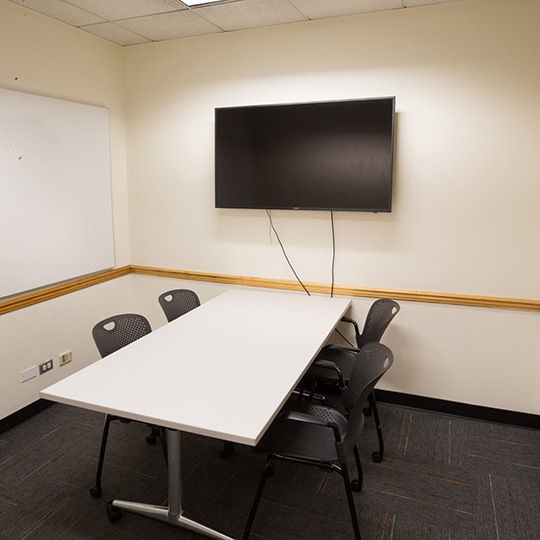 Dibner Library has many reservable group study rooms available for use by NYU students. Rooms are available for reservations during library open hours. Small group rooms hold a minimum of 2 people, and a maximum of 5. Large group rooms hold a minimum of 4 people, and a maximum of 8. Log in with your NYU NetID. Select your preferred time, date, and reservation length. Groups of 2 or more NYU students may reserve a small room for 3 hours at a time, and groups of 4 or more students may reserve a large room for 3 hours at a time. Group rooms may not be reserved or held for a single user only. Single users in a group study room (with or without reservations) will be asked to vacate the room for groups of 2 or more for small rooms, and 4 or more for large rooms. For small group study rooms, we ask that least 2 students occupy the room. For large group study rooms, we ask that at least 4 students occupy the room. Have your email confirmation handy as you may need to verify your reservation.